Switch & Save today with Traders Insurance from £45.37/month! Motor Trade Insurance is a custom-tailored insurance policy specially designed for people, or businesses who operate in the Motor Trade. 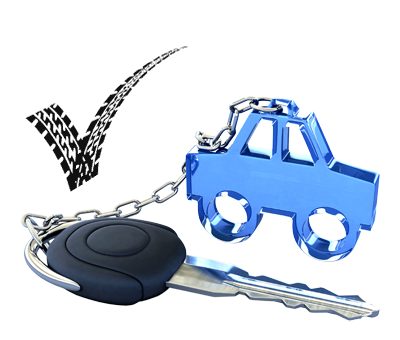 To operate in the Motor Trade, you usually have to have a financial interest in dealing with vehicles - whether that be Cars, Vans or Motorbikes. A typical motor trader is somebody who buys and sells cars to make profit. However, other uses of the motor trade can include Mechanics, Valeters, Car Jockeys and Breakdown Recovery. To learn more about Motor Trade Insurance, click here. The problem with Motor Trade Insurance is that it's often about your unique circumstances, your involvement in the Trade industry, and how you operate on a day-to-day basis. Factors such as whether you're full-time or part-time can impact the price you pay, along with other factors such as how many cars you buy and sell, whether you have another place of work and most importantly, your postcode. We have access to over half a dozen underwriters who are willing to cover motor trade risks that match their risk profile. Some underwriters will be competitive in high risk areas like London, whereas other underwriters tend to shy away from offering a quote. As such, getting a motor trade insurance policy can be difficult and time consuming - and that's why you'll often consult with a broker (such as us). We can do the hard work for you, and communicate directly with underwriters to get you the absolute cheapest price available. Firstly; decide whether you're on a tight budget or a fairly unrestricted budget. This will help you to decide what kind of cover you need. If you're on an unrestricted budget, it may be worthwhile opting for a comprehensive policy (which covers accidental damage), as well as other added extras such as Liability Insurance. Secondly; get a quote through our website or give us a call. We'll run you through a set of questions and attempt you get you the best possible price on the market. Sometimes, we may need to contact underwriters on your behalf to explain unique circumstances - but we'll do this as quickly as possible. Thirdly; consult with us to determine the correct level of cover for your needs. We are able to provide insurance advice to our clients - meaning we can advise you of what your best options are in regards to your business, and what you can afford. We will always act in your best interests when providing advice - so you can trust that we're here for you.